In true European tradition, San Diego's Westgate Hotel invites families and friends to experience the hotel’s annual holiday afternoon teas. Both intimate and elegant, afternoon tea times at the hotel feature a live harpist alongside a delightful array of teas, welcoming seasonal beverages, petit fours, house-made canapés and more. The Westgate captures the true magic of Christmas with the Teddy Bear Teas series for kids treating them to an even sweeter time complete with a surprise visit from Santa and his helpers. The Westgate Hotel’s Christmas Teas are offered every Friday, Saturday and Sunday in December between 2:30 and 5pm in The Bordeaux Tea Room at The Westgate Hotel. A lavish experience for young ones accompanied by their parents, kids will enjoy decadent pastries, tartlets, brownies, scones and other delicious gourmet items at Westgate Teddy Bear Teas. After an elegantly set teatime, visitors are escorted to the hotel's picture-perfect Grand Lobby where they will enjoy a private performance by Santa's magician and his elf, followed by the narration of a Christmas classic during story time with Santa himself. Teddy Bear Teas are held in The Westgate Room and Grand Lobby from 2:30 to 5pm on select Saturdays and Sundays in December. Dates include December 6, 7, 13, 14, 20 and 22. 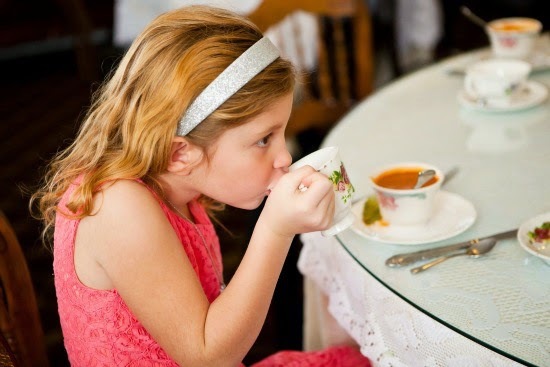 The cost for both the Christmas Teas and Teddy Bear Teas is $45 per adult and $30 for children under 12 years of age (taxes and gratuity are additional). 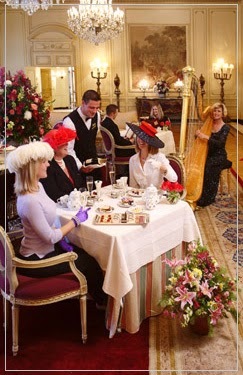 Seating is limited and guests may reserve their tea experience by visiting westgatehotel.tix.com. The Westgate Hotel is located at 1055 Second Avenue. For more information on The Westgate Hotel, visit westgatehotel.com or call (619) 238-1818.